WBEZ's "Sound Opinions" on The..
It’s 9 o’clock on a Saturday night. 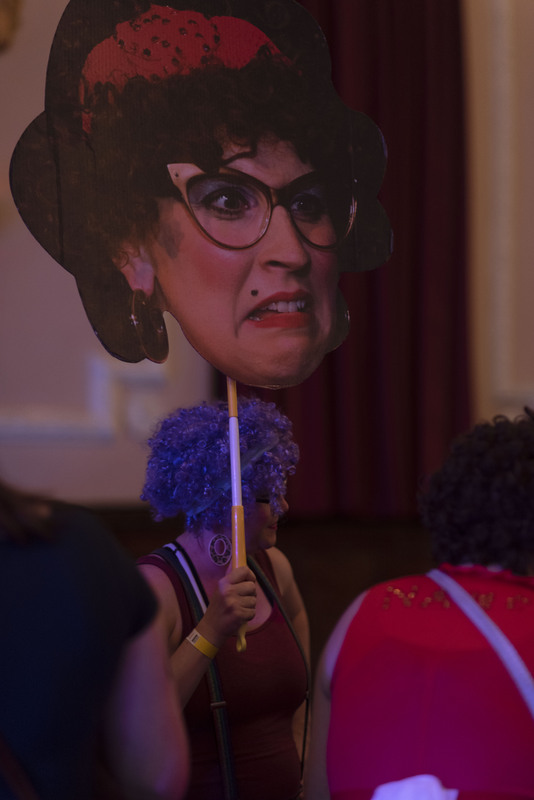 While some would party or dance the night away, over 100 Chicagoans have instead chosen to watch sequin-clad women arm wrestle at the Logan Square Auditorium. 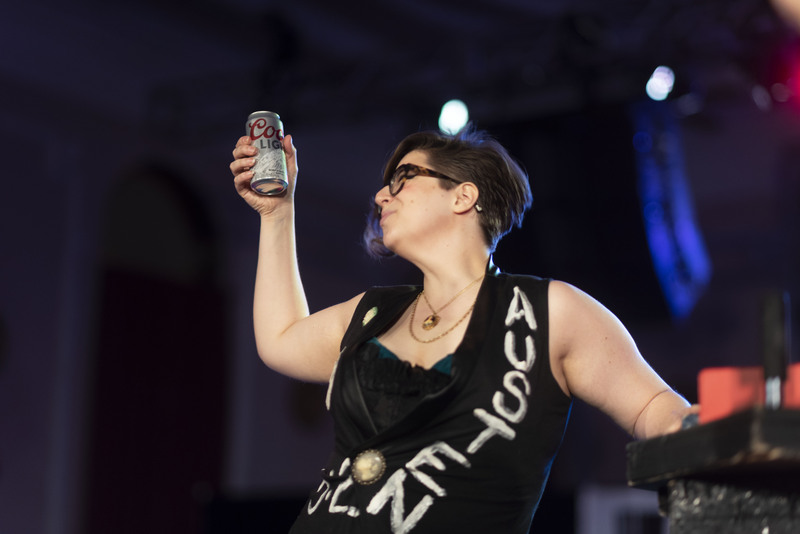 The Chicago League of Lady Arm Wrestlers, or CLLAW, is a group from Sideshow Theater Company in which women-identifying performers of all skill levels duke it out in the ring for the title of CLLAW champ and a sparkly pair of boxing gloves with the middle fingers sticking up. 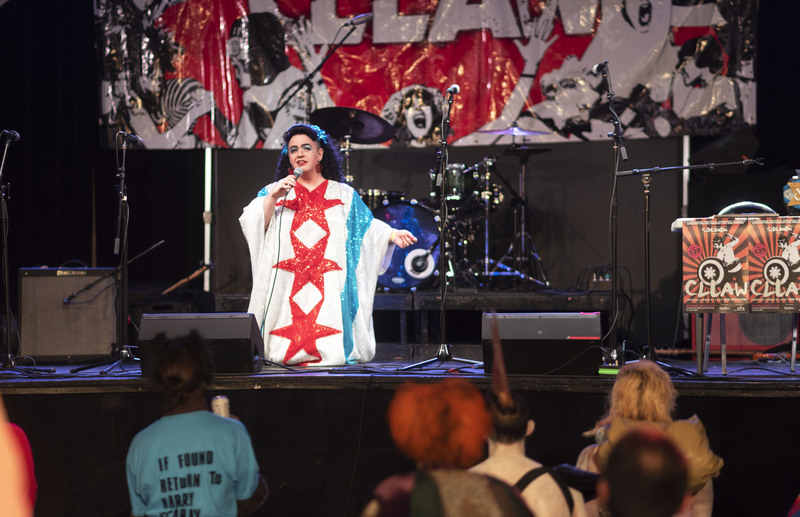 CLLAW is an immersive theater experience that exemplifies the energy of sports and its fans through performance: trading jerseys for elaborate costumes and establishing a personal relationship with the audience through games and raffle tickets. Some fans dress up like their favorite wrestler, or cheer them on with personalized chants. The rules are simple: 12 wrestlers compete in six head-to-head matches; the winners of those matches move forward and repeat the cycle until there is one woman standing. A wrestler who loses has a chance to come back if they beat the other losers in the underdog bracket. A loser can also come back into the ring if they are deemed crowd favorite by an audience applause-o-meter. Each match is best two-out-of-three, lasting no more than 20 seconds. 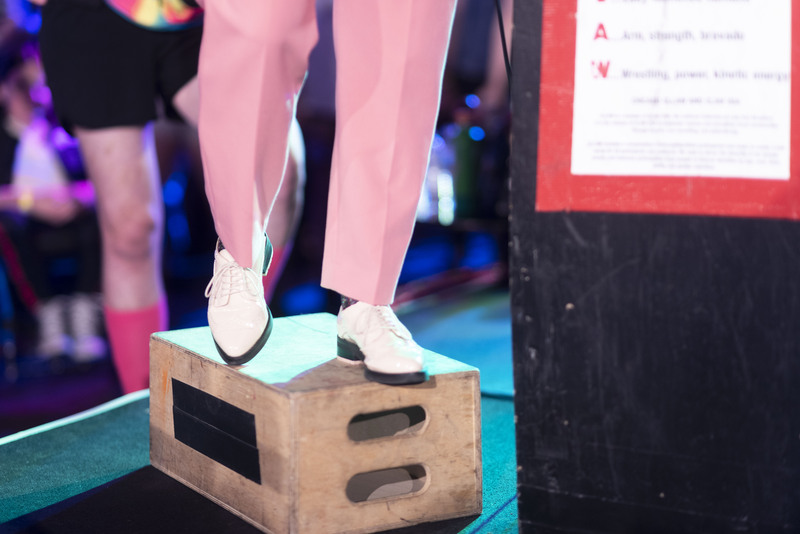 If there is no winner after that time, both competitors face the stalemate wheel and complete a task to win the match — which can range from chugging a pint of beer to a 60-second dance-off to a hula-hooping competition. Wrestlers caught cheating or tricking their opponent in any way have to put on a penalty helmet that completely obstructs their vision. But the real fun of CLLAW lies in its characters. Many of the performers are returning wrestlers, some competing as far back as 2014, while some are fresh to the glitz and sweat of CLLAW. 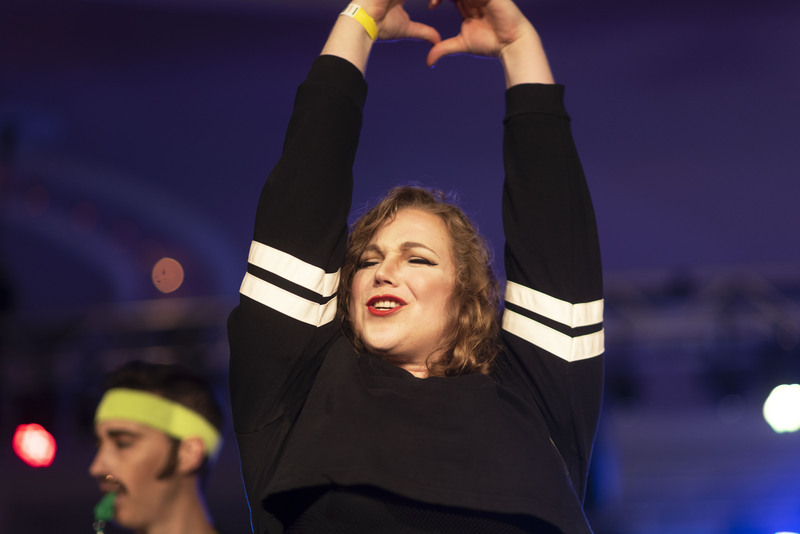 The wrestlers are varied in background — there are comics, actors, burlesque performers, musicians and more — many of them joining the league via email or an online application. 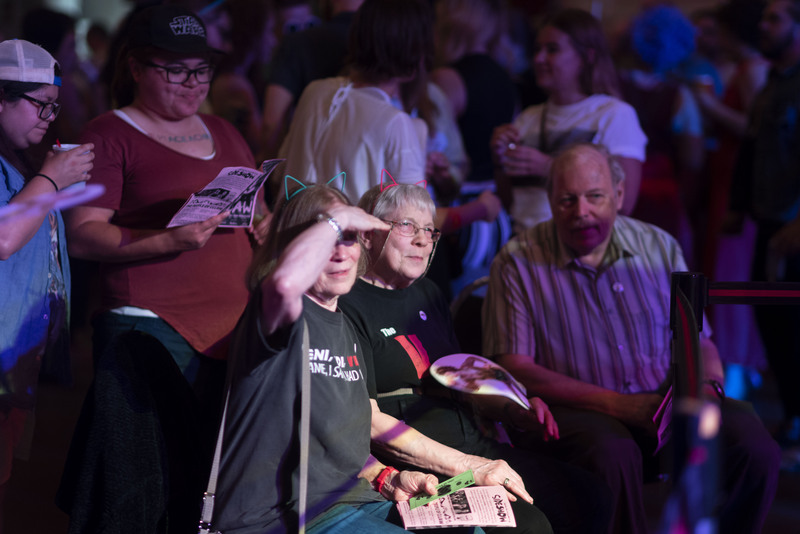 “It just seemed awesome and I work out a lot so it’s physical and theatrical…it pushes all of my buttons,” Hellcat Von Pur said in a cheetah-print bodysuit, passing out plastic cat ears to eccentric audience members. Winafight Sanderson is a bubbly witch straight out of “Hocus Pocus.” Immortan L. Boe is a “Mad Max”-esque warrior covered in metal gears and dust and communicates via blood-curdling screams. Taylor Fist spends as much time doing heart hands and strumming her guitar as she does trash talking her opponents. Stone Cold Jane Austen is a Coors Lite-pounding literary junkie in a Victorian corset. Amelia Earhurt dons aviator goggles and spinning propeller wings on her breasts. 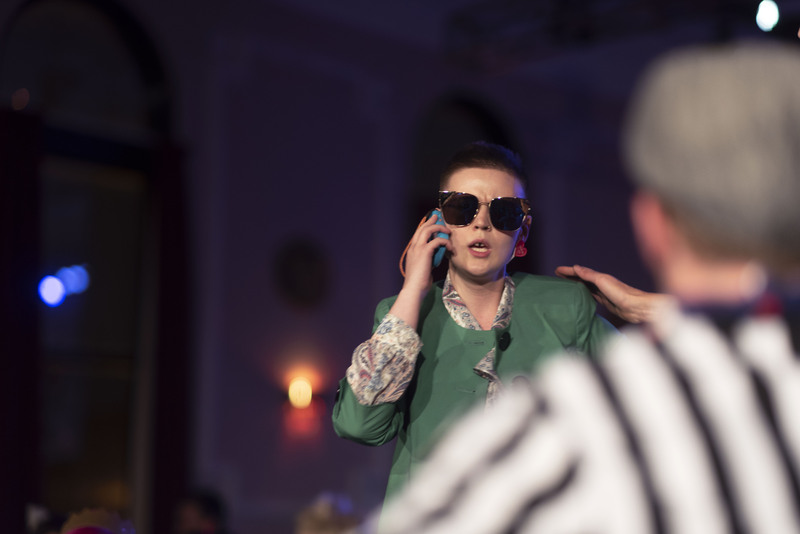 Elton Brawn cycles through an array of blouses and large sunglasses as he takes phone calls from celebrities. Dr. Beverly Crush-Her suits up in a blue Star Trek uniform to “crush arms like no woman has done before.” Aunt Nance is an aging diva who often busts her hip and chugs Metamucil before a match. 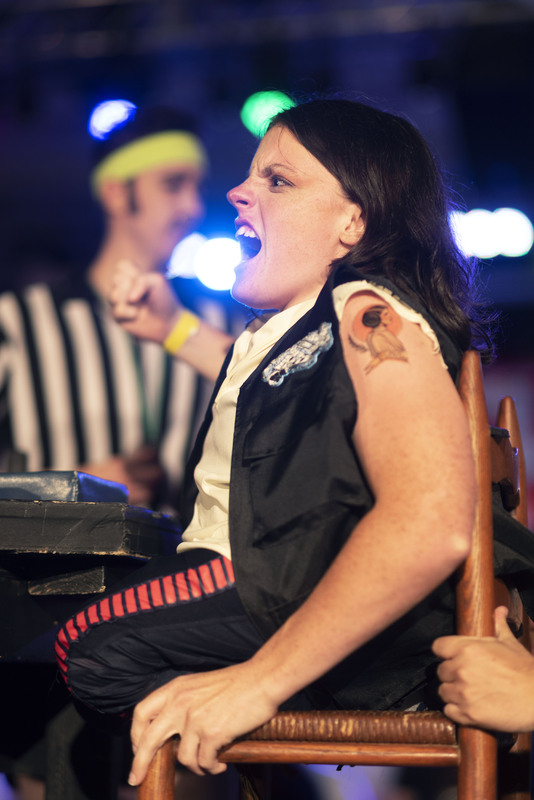 Han Rolo travels the galaxy in a wheelchair and has a Princess Leia tattoo on her shoulder. Gal Fieri exudes energy in a spiky blonde wig, thin red sunglasses and “Flavor Town” written across his forearms. Captain Philippines is the returning champion, parading a modified Captain America shield with the flag of the Philippines. Every wrestler has a manager, who can be a friend or coworker who dresses and acts in a similar theme as the wrestler. According to CLLAW’s application form, a manager must be “fearless and energetic” in order to boost the wrestler’s morale throughout the night. Taylor Fist’s manager is a groupie in high pigtails and American Apparel, Gal Fieri’s is a gender-swapped Gordon Ramsay and Amelia Earhurt’s is a search-and rescue-team swaying a stick topped with a bedazzled airplane. Even the performers outside the ring are in full character. 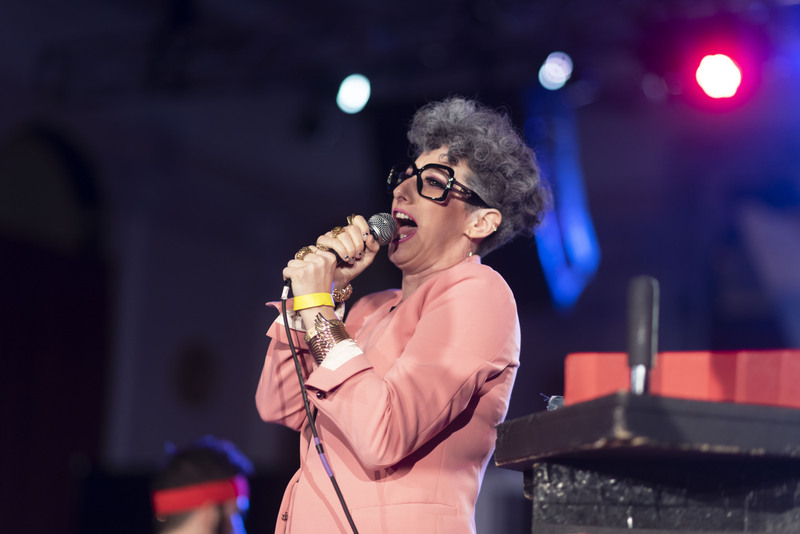 Harry Scarray is the illustrious emcee in a pink pantsuit and Harry Caray frames and Vallery Dolls provides witty commentary in a floor-length sequin gown of the Chicago flag. Vallery Dolls sings the national anthem before the tournament begins. Cody Corrall, 14 East. 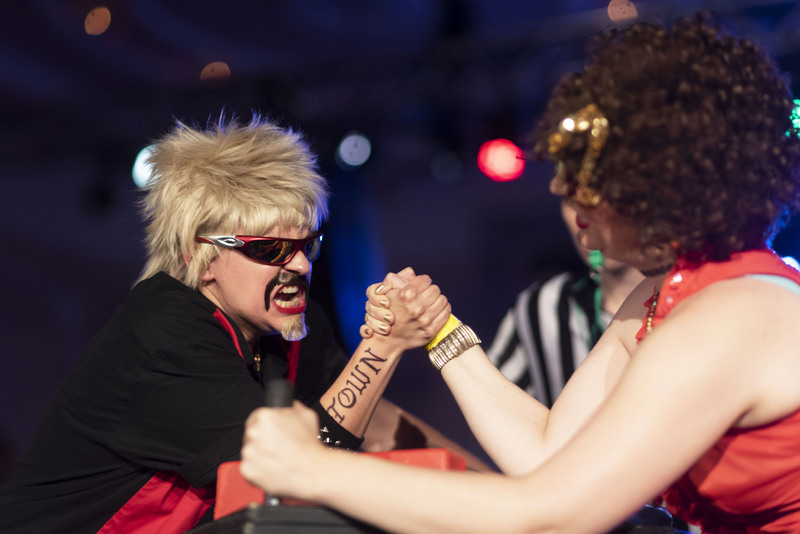 The Collective of Lady Arm Wrestlers (CLAW) started in 2008 in Charlottesville, Virginia, and has expanded to over 20 cities worldwide: from New Orleans, San Francisco and Austin, Texas, in the United States to international leagues in São Paulo, Brazil, and Rotterdam, Netherlands. CLAW is a non-profit organization with an emphasis on philanthropy. 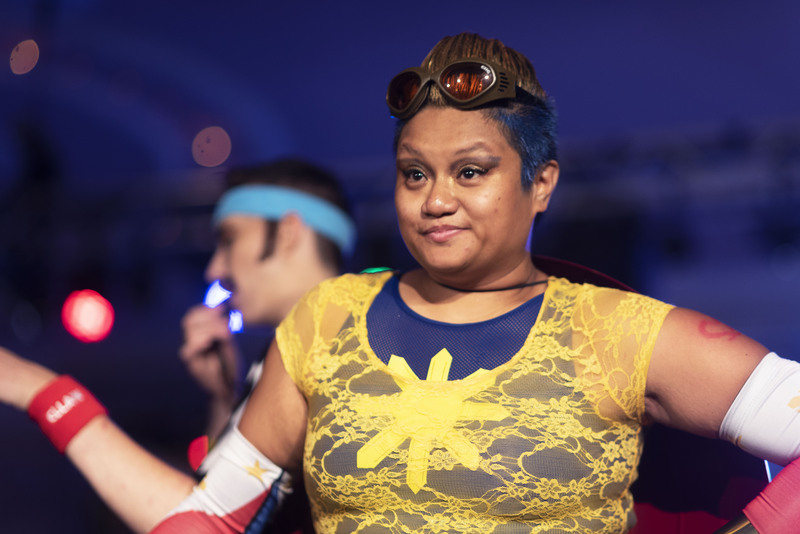 The Chicago league’s 30th tournament, also known as its “dirty thirty,” benefited Sideshow Theater Company and GirlForward, an organization aimed at providing mentorship and resources to young refugee women in Chicago and Austin. Fundraising is done through CLLAWBUX, a tiny green paper currency that can be purchased and used to bet on your favorite wrestler. If the wrestler wins a match, you are entered to win a prize donated from sponsors or local Chicago organizations. If your wrestler loses, you are entered to win a less desirable dollar store prize — a pregnancy test, a bar of soap or sidewalk chalk, among others. 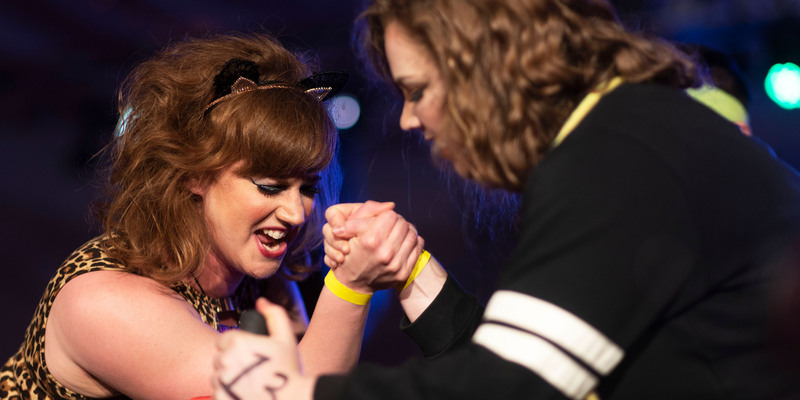 While a league of female arm wrestlers is unique, CLAW and its subdivisions aren’t the first of its kind. In 1986, GLOW premiered for the first time on local television. GLOW, or the Gorgeous Ladies of Wrestling, was created by former World Wrestling Association announcer and promoter David B. McLane. The show, which ran for four seasons on syndication, featured a colorful cast of female wrestlers battling it out every week at the Riviera Theater in Las Vegas. The cast was made of 12 women, mostly actresses, models and stunt women trying to break into Hollywood, and were trained by actual wrestlers for six weeks. They learned how to wrestle, how to craft a distinct wrestler persona and engaging storylines for television. While GLOW had its peak in the late 1980s, it’s currently having a resurgence in popular culture: a documentary film about GLOW was made in 2012 and a scripted series about the creation of GLOW recently aired its second season on Netflix starring Alison Brie and Marc Maron. Gal Fieri faces off with Aunt Nance. Cody Corrall, 14 East. While the wrestling of GLOW and CLLAW are theatrical and highly choreographed, they aren’t totally predetermined. 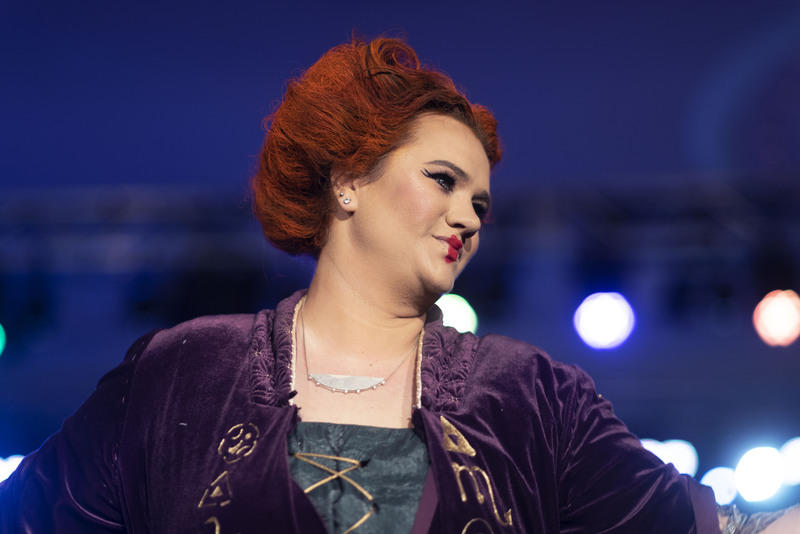 There are things that are set in stone in each CLLAW match, but there is room for improvisation from the cast of characters — and because of the raffles, the audience has a stake in who succeeds. 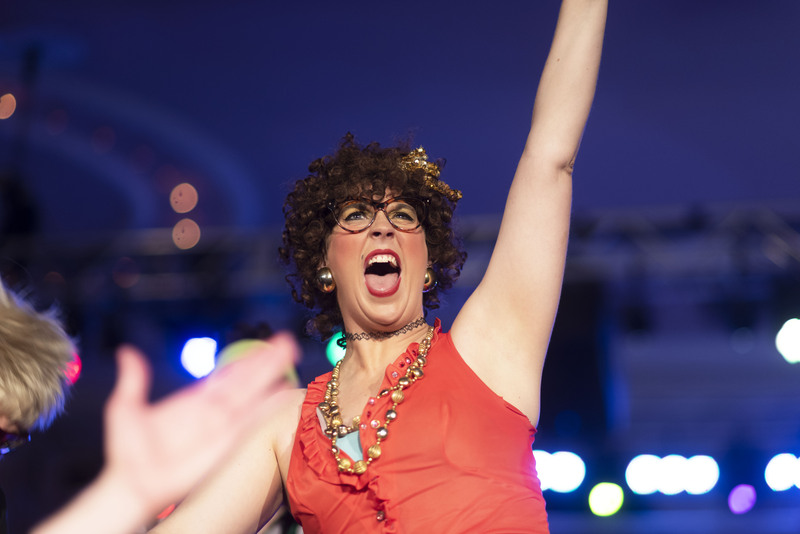 Audience participation is what makes CLLAW and other forms of this phenomenon so infectious. Placing bets on wrestlers, cheering on the underdogs and booing the villains brings an unexpected life to a performance that could be one-sided like television or traditional theater. In the championship match between Stone Cold Jane Austen and Elton Brawn, it was clear that there wasn’t a traditional hero to root for. Both characters are rude and aggressive toward their competition and heavily contrast the fan favorites of the evening. A win from Stone Cold Jane Austen might not be as heartwarming as one from Captain Philippines or Han Rolo, but it’s indicative of the power of sportsmanship as performance. CLLAW is about building up to a euphoric moment — and it doesn’t really matter who wins the title. It’s about the glamour of teamwork and community, and it fosters an energy that can’t be found anywhere else.